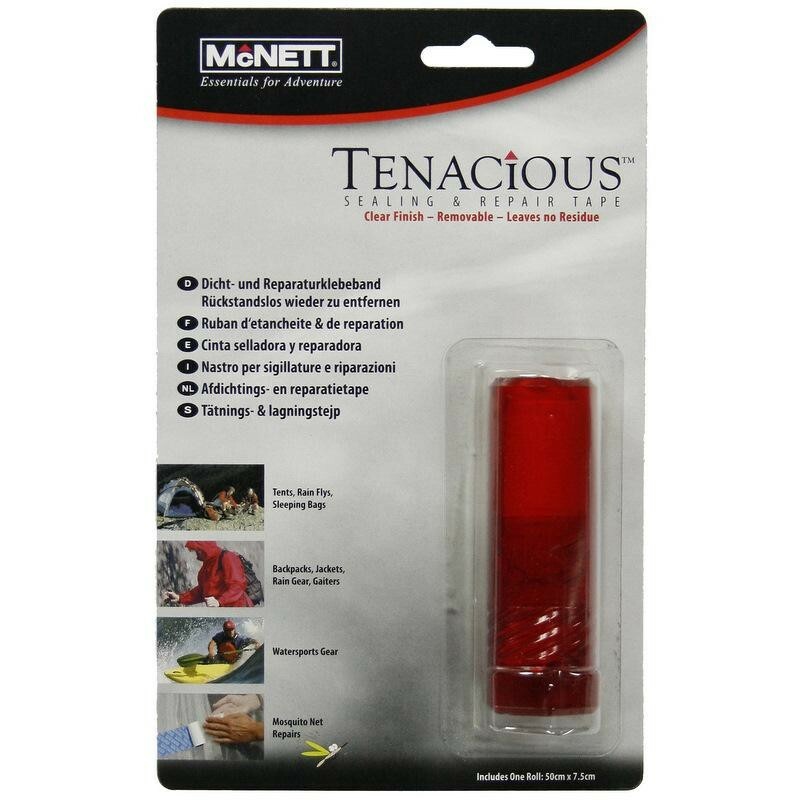 Tenacious Tape uses real tent fabric and high-strength adhesive to provide fast, permanent, nearly invisible repairs. Clean adhesive technology allows Tenacious Tape to be removed without leaving duct tape’s ugly gluey mess. Ideal for repairs on tents, tarps, mosquito netting, rain gear, backpacks, sleeping bags, sleeping pads and mattresses, seat cushions, soft coolers, boat covers and more.